The Buy American Act (BAA - 41 U.S.C. §§ 10a-10d) passed in 1933 by Congress and signed by President Hoover on his last full day in office (March 3, 1933), required the United States government to prefer U.S.-made products in its purchases. Other pieces of Federal legislation extend similar requirements to third-party purchases that utilize Federal funds, such as highway and transit programs. The American Recovery and Reinvestment Act (ARRA) includes a "Buy American" Provision which establishes a general preference for purchasing goods produced in the United States. The provision states that consumers who receive federal "Stimulus" funding are required to purchase American-made goods whenever possible, which in turn, protects American workers by saving existing jobs and creating new ones. When the ARRA bill was passed in 2009, it allocated $6.3 billion for state and local governments to make investments in energy efficiency and conservation and an additional $4.5 billion to boost the energy efficiency of federal buildings. The Hubbell Tankless Electric Water Heater is 99% efficient making it your best option for water heating. Unlike storage tanks which are constantly working to maintain a tank full of 140°F water which is then mixed with cold water when delivered to your fixture, the Hubbell Tankless unit heats water on demand and precisely to your desired temperature (typically 105°F or 40°C). When you replace a tank water heater with a Hubbell Tankless you eliminate 365 days of "standby heat loss" and save energy by delivering hot water more efficiently to the point of use. 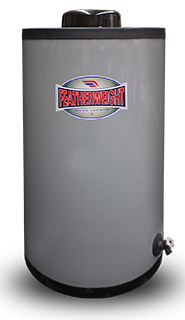 The end result is a savings of up to 40% on the water heating portion of your utility bill. In addition, under the North American Free Trade Act, "NAFTA" goods must originate in the United States, Canada, or Mexico. Product must be manufactured in the United States. The cost of domestic components must exceed 50 percent of the cost of all components. 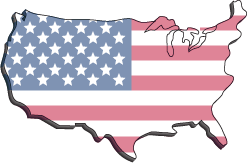 Product must be manufactured in the United States, regardless of the origin of the components. Goods must "originate" in the United States, Canada, or Mexico to obtain NAFTA tariff preference.